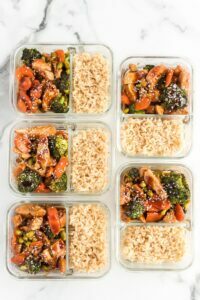 This Weight Watchers Teriyaki Chicken Sheet Pan recipe is 5 points per serving, easy to make and easy to clean up afterwards. 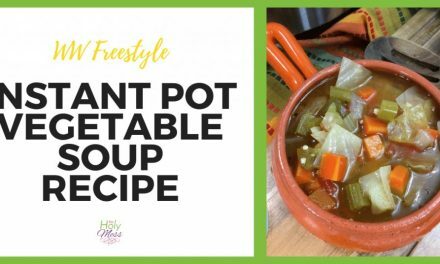 This would make a delicious and healthy family dinner or use it in your meal prepping for lunches for your week, or a combo of both. 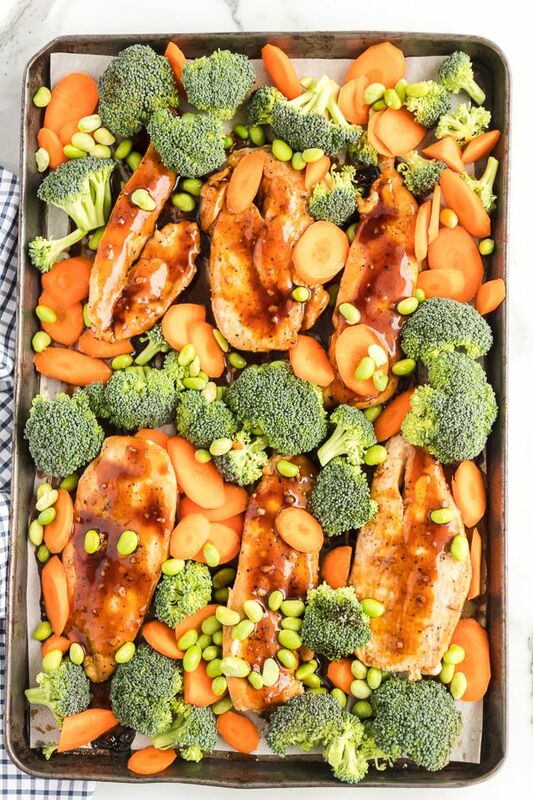 A sheet pan meal is simply a meal(usually dinner) that you cook all on one pan. 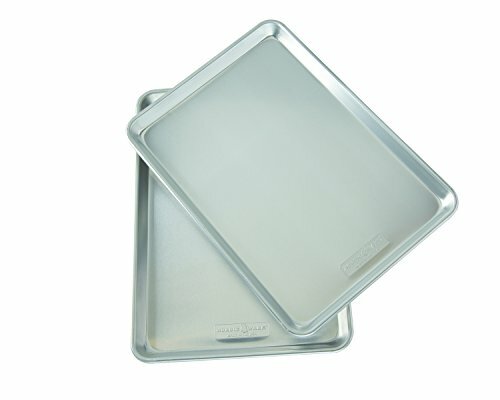 I love sheet pan meals because it’s quick, easy, and relatively little to clean up. I’m a huge fan of planning ahead of the next weeks meals, or even preparing a month’s worth of dinners in advance. 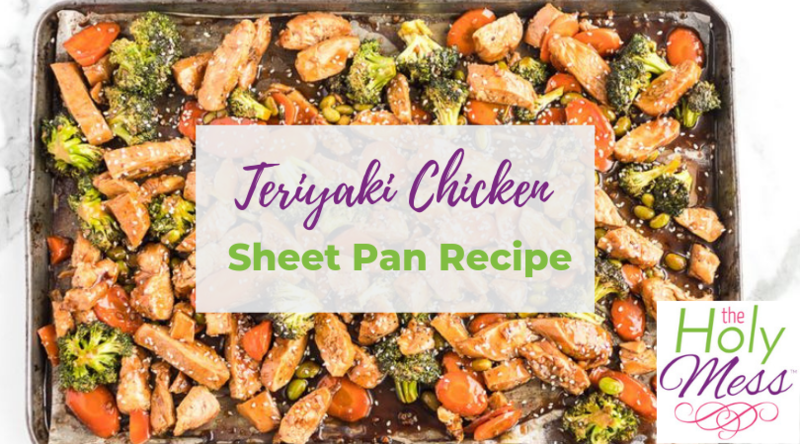 This Teriyaki Sheet Pan meal is perfect for meal prep. If you’d like, serve with brown rice (4 points for half a cup) like we did, or to keep the points even lower use cauliflower rice (0 points). 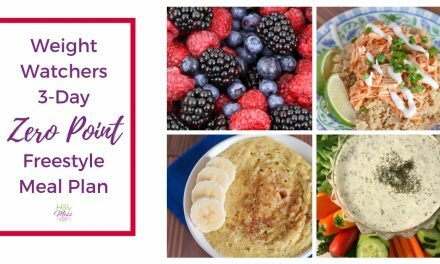 This Weight Watchers 7 day meal plan includes a meal prep Weight Watchers Chicken Cobb Salad which I love. Plan ahead for a week’s worth of lunches. 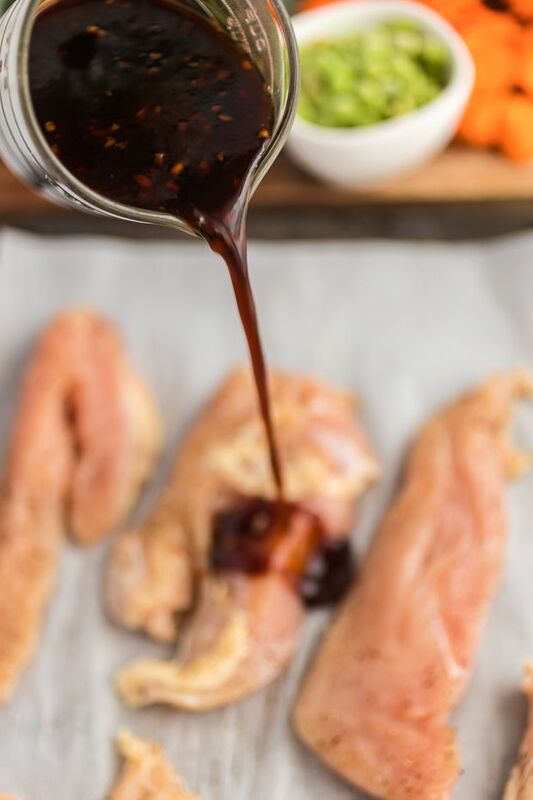 Teriyaki is originally a cooking technique used in a lot of Japanese cuisine where foods are broiled or grilled with a glaze of soy sauce, mirin, and sugar. Sounds yummy, right? 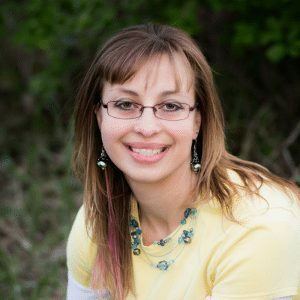 It’s a good source of protein and other nutrients, however it can be high in fat and calories depending on how it is cooked. Teriyaki sauce can also be high in sodium. 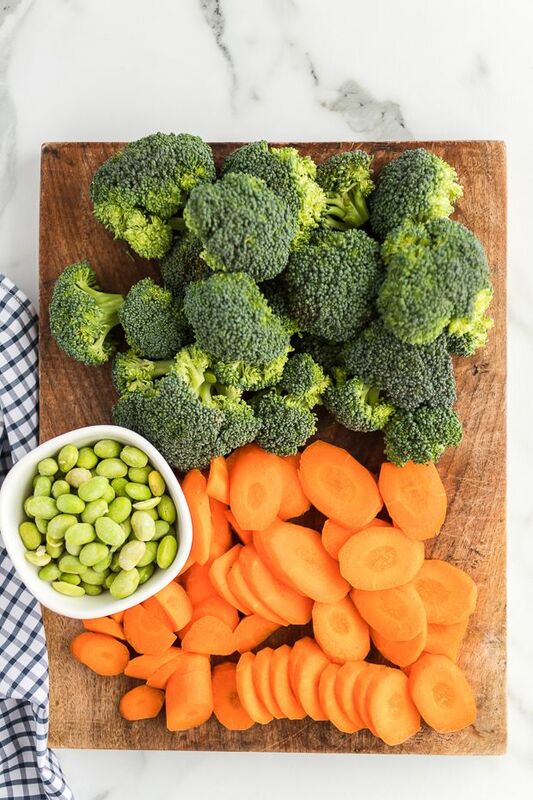 The key is to prepare it using healthy cooking techniques and pair it with other nutrient-dense foods. 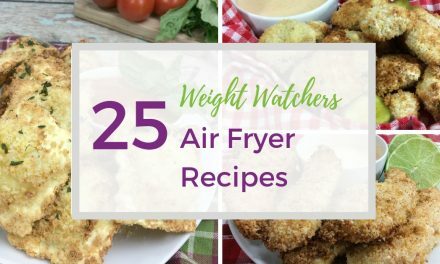 This recipe is a healthy version. 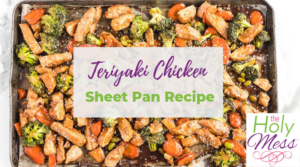 This WW Teriyaki Chicken sheet pan recipe is 5 WW smart points per serving. Pair with 1/2 cup brown rice for 4 additional points if desired. Drizzle chicken with sauce. This sauce is soooo good and it really does make the recipe. Add veggies to chicken and continue cooking for an additional 15-20 minutes. 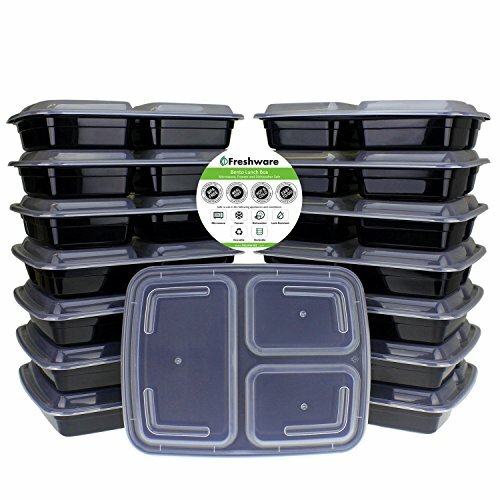 Now you are ready to dig in or allow to cool and place in meal prep containers for the week. 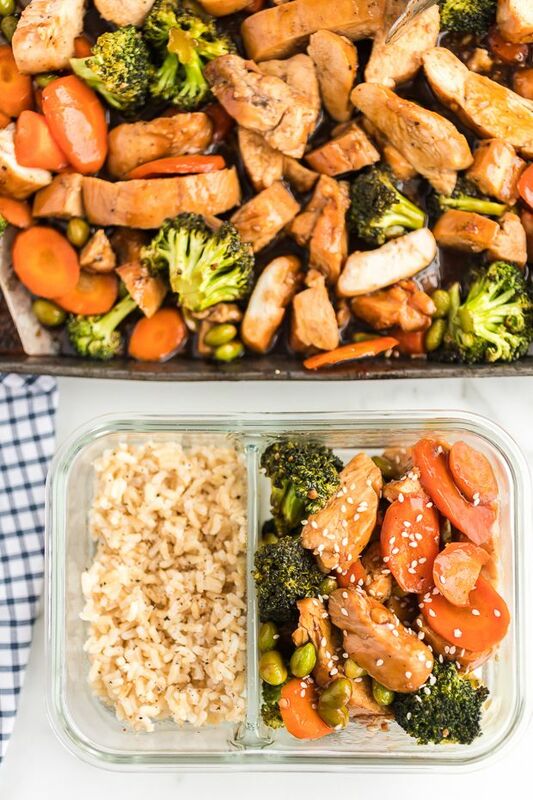 This delicious teriyaki chicken is easy made on one sheet pan for a healthy dinner. 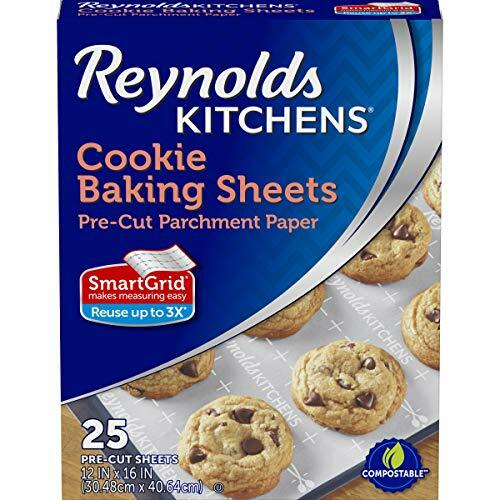 Or, meal prep and make for the week's lunches. 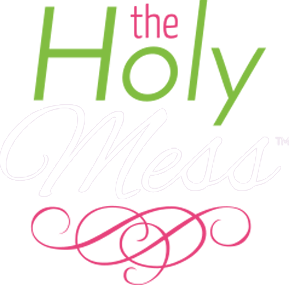 In a saucepan over medium heat, whisk together soy sauce, honey, vinegar, 2 tsp sesame oil, garlic, ginger, cornstarch and water until combined. Bring to a simmer, stirring frequently, until sauce thickens and bubbles. Remove from heat and set aside. Season each side of the chicken with salt and pepper then drizzle approximately half the sauce over the chicken coating well on both sides. Cook in preheated oven for 20 minutes. Flip chicken and drizzle with more sauce. Remove pan from oven, slice chicken into strips and drizzle with remaining sauce. Serve over brown rice, quinoa, or cauliflower rice and garnish with sesame seeds if desired. 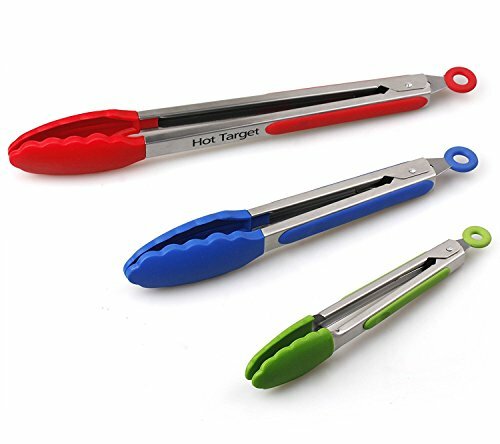 **Cooking time may vary slightly depending on how thick your chicken pieces are. 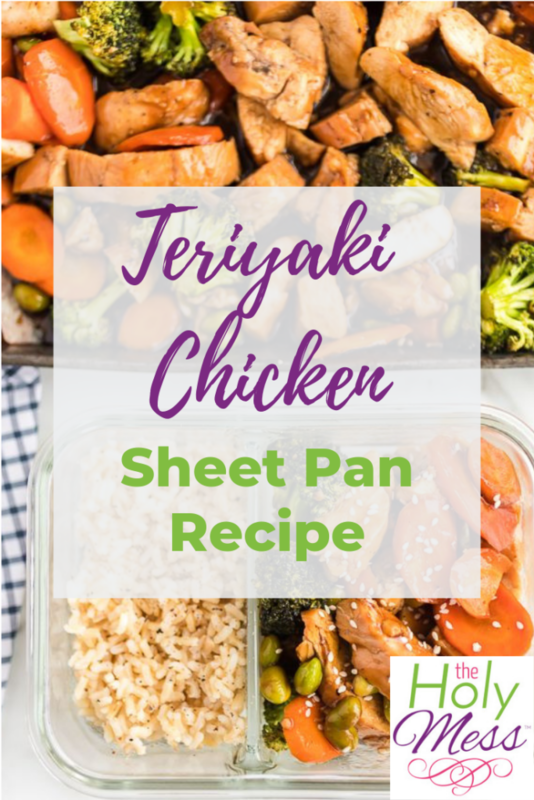 This Teriyaki Chicken Sheet Pan meal is a delicious dinner or make enough for a week’s healthy lunches. 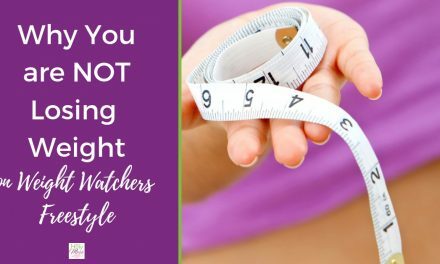 PreviousWhy Am I Not Losing Weight on Weight Watchers Freestyle?